Our parent company, Sano Design Services, gets the opportunity to work with designers from around the globe. We always enjoy seeing how they use our CAD Design and Digital Printing Services to come up with exciting products! Since we like sharing, we’ve decided to introduce a Client Spotlight blog post to showcase some of our clients work! Check out these cool and comfortable shoes designed by Andrea Vivas at Avivas Hidalgo. Besides being a delight to work with, Andrea has created 5 new collections for her Spring 2013 line, that cover just about any taste and style! From funky conversationals to classic geometrics, we’ve had a blast helping her create her new line! To order shoes, please visit her website at http://www.avivashidalgo.com/ or for more information about AVivas Hidalgo, email Info@AVivasHidalgo.com. You don’t have to get your eyes checked – we’re seeing spots, too! 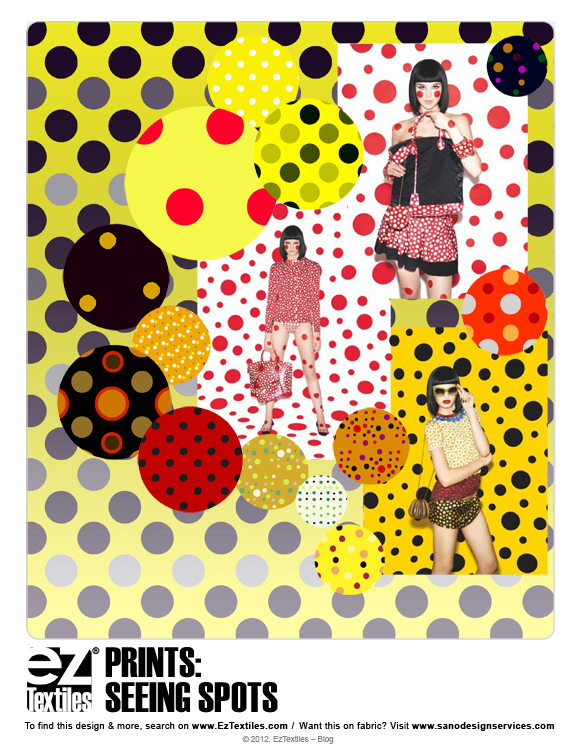 We’re inspired by Yayoi Kusama’s art collaboration: ‘Infinity Dots Collection‘ for Louis Vuitton. Kusama is well known for her flowing and rhythmic polka dot patterns which seems perfect for fashion! This collaboration is a continuation of the idea of pairing art and fashion for the Louis Vuitton label. The first part of the collection will be available in stores July 11th which is a day before a retrospective of Kusama’s work at the Whitney Museum here in New York. Take a peek at the polka dot prints from EzTextiles we paired with the inspirational images from the collaboration. It’s been raining cats & dogs in New York City, so we decided to pep up our mood! 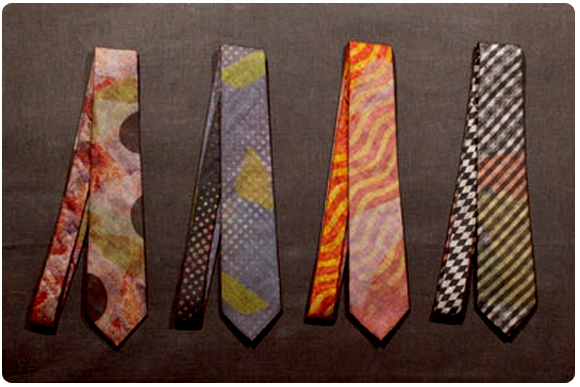 Check out these amazing pictures by SchatziBrown and how we were easily able to find comparable prints on EzTextiles! 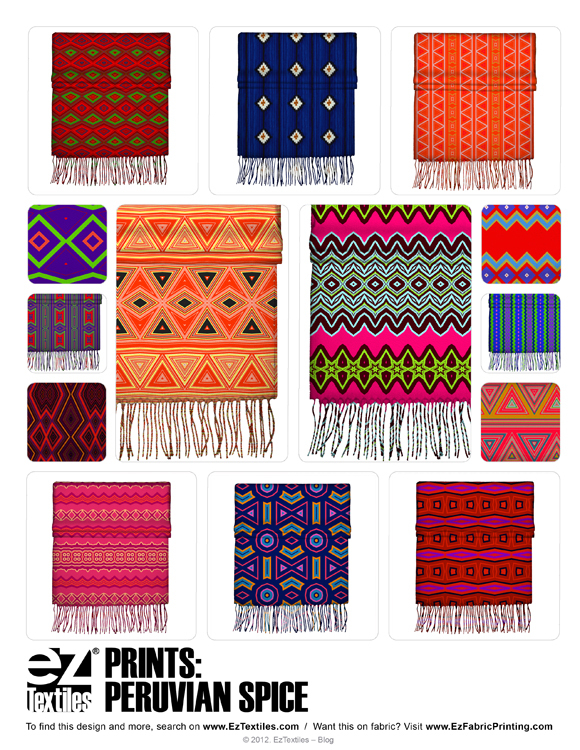 Using the library of products, we found a warm scarf to visualize our prints on. Did you know that once you download your image from EzTextiles, it remains in your “My Downloads” tab for 30 days, so you can download it again and again as much as you need! Check out our inspiration pic below and start creating collections of your own! Talk about a faux-pas! We may be a little late with our London Fashion Week wrap-up, but hey, better late than never! 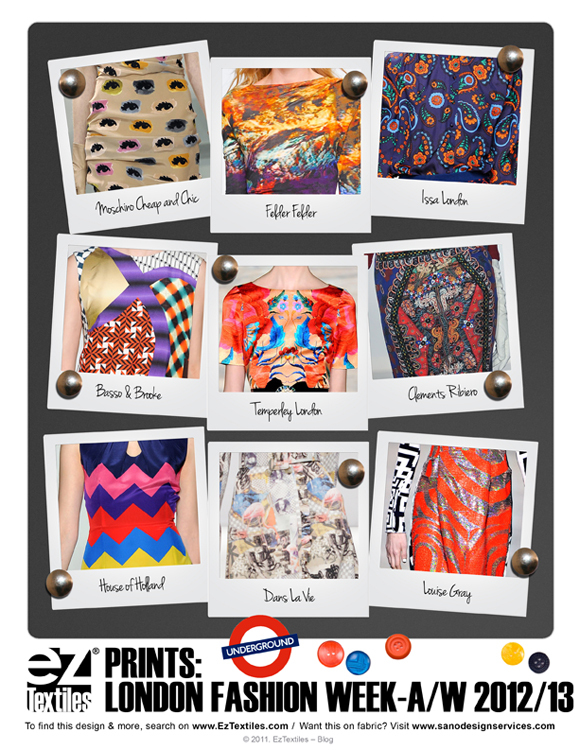 We were thrilled to see such a print driven week of fashion! Check out the image below for snapshots of our favorite looks! Whether daring graphics or brilliant photographs, London catwalks were ablaze with eye-catching designs that made us swoon. Did you know that when you use our product visualization tool, you can scale all of our designs in and out to get the exact proportion you need? Head over to our site to start creating some colorful collections today! 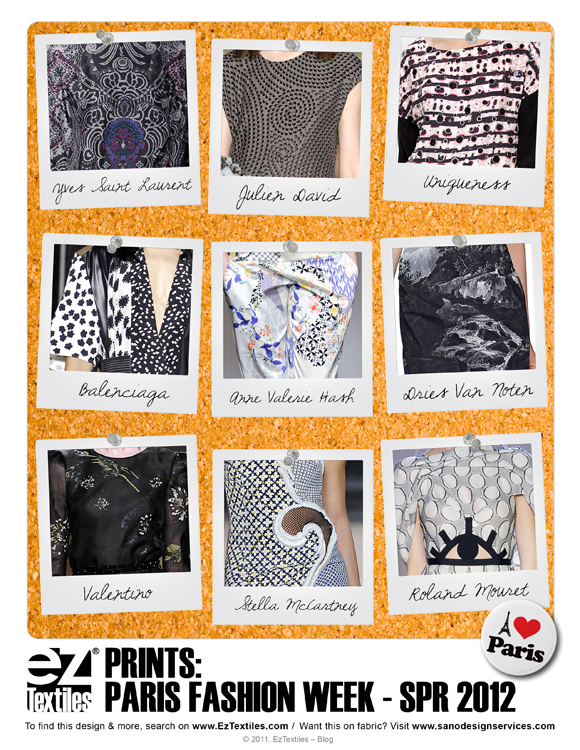 Paris Fashion Week may be over, but we’ve still got a twinkle in our eye about the prints we saw! As much as Milan Fashion Week showcased color, Paris focused more on neutral collections with pop prints sprinkled here and there. Whether they be photographic, graphic or ditsy florals, designers throughout Paris’ Fashion week used black and white as staple colors. Check out our favorites below and compare to our other posts on Milan, London & New York! Have you seen what’s happening on the runway? 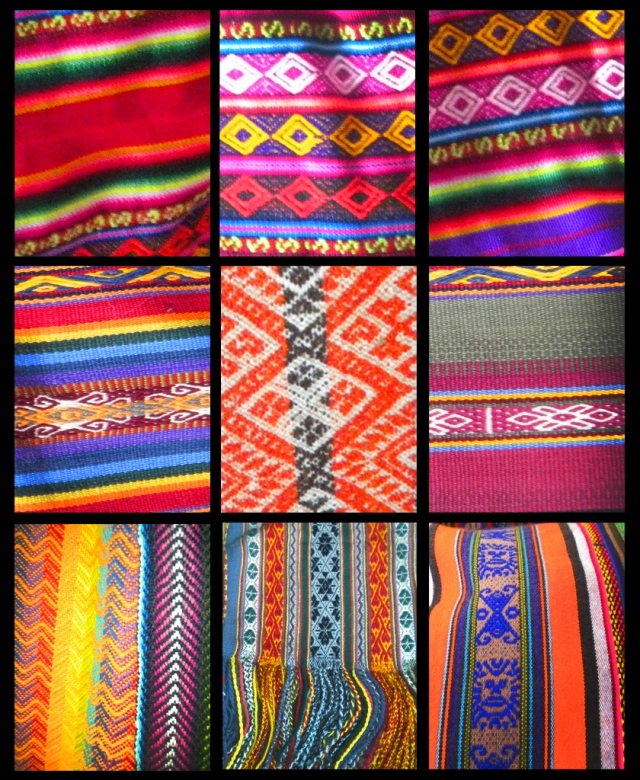 Over at EzTextiles we’re pouring over the new Spring 2012 collections with fervor and loving what we see! 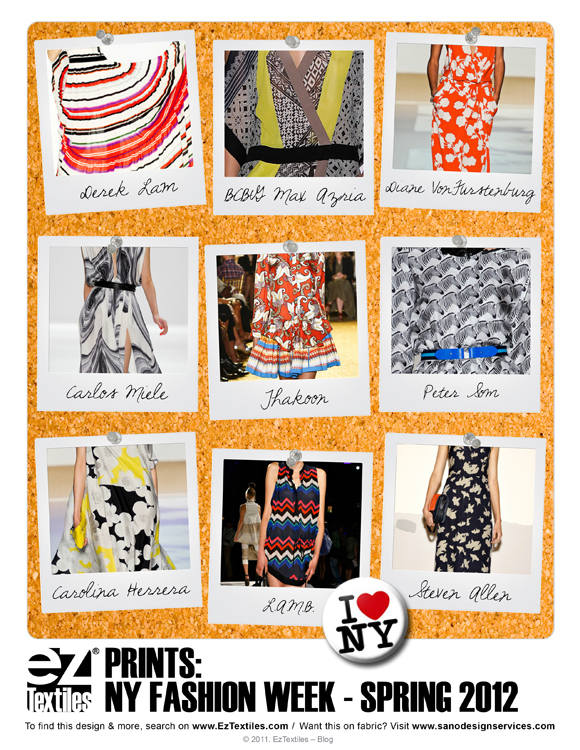 Mirroring the color trend report we put out a few days ago, we pulled some of our favorite prints coming out of New York Fashion Week. Check out the bold graphics, vibrant florals and playful stripes and compare to our other posts on Milan, London & Paris ! Nothing screams summer like summer dresses in groovy prints! We love the color story going on in this abstract print we spotted so we headed to our print library to make a collection! Good thing EzTextiles allows users to lock colors that you like and search for prints which contain those specific colors. It made making our collection a breeze! In under 10 minutes we were able to collect 2 full pages of designs! See how quickly you can wow your design team with dozens of ideas by clicking the inspiration pic below! Bastille Day was July 14th, and to honor the day we couldn’t resist using this style.com image for a Parisian inspired post! The French Riviera evokes a sophisticated,cool chic style. The long, loose jumpsuit is a perfect silhouette for the bold black and white geometric inspired print. 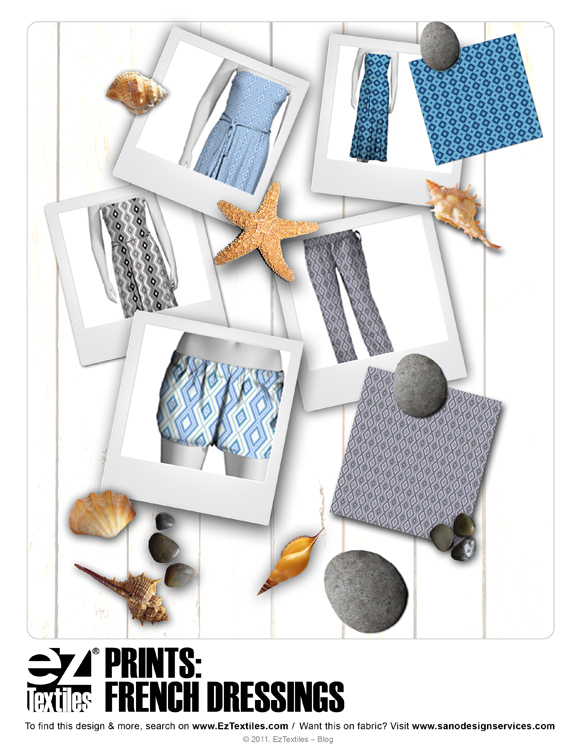 We went into our vast library of prints on EzTextiles.com and decided to infuse a tribal feel and tweak the color a bit using blue hues of the ocean which always emits a summer vibe. See our Riviera inspired board and then see what inspires you! Those of us who don’t get summers off should still get to have some fun at work! 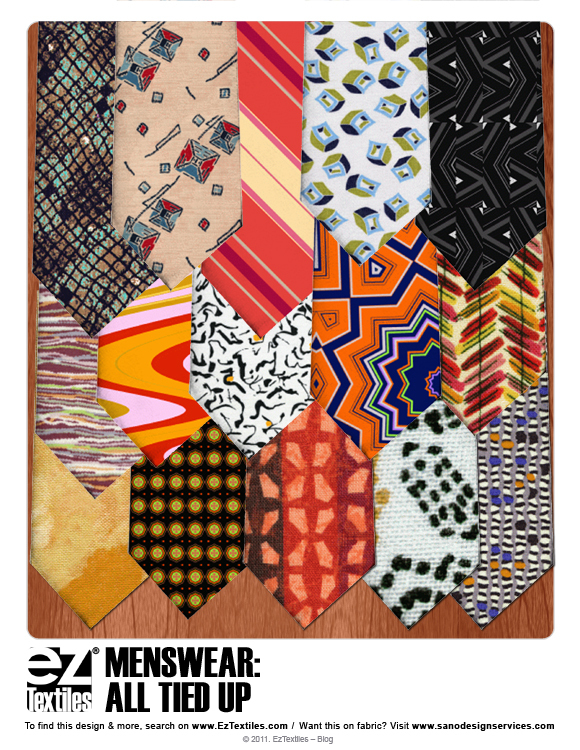 We loved these abstract designs in this blog post so we used a similar color story and found offbeat patterns that adds personality to the everyday tie! To start your own collection click this storyboard! In this day of celebrating Mexican heritage and pride, we were inspired by embellished kitchenware typically found in traditional Mexican cuisine. Since the essence of this culture is defined by intricate designs, festive colors, and folk motifs, we made sure to look for similar ethnic and geometric prints. 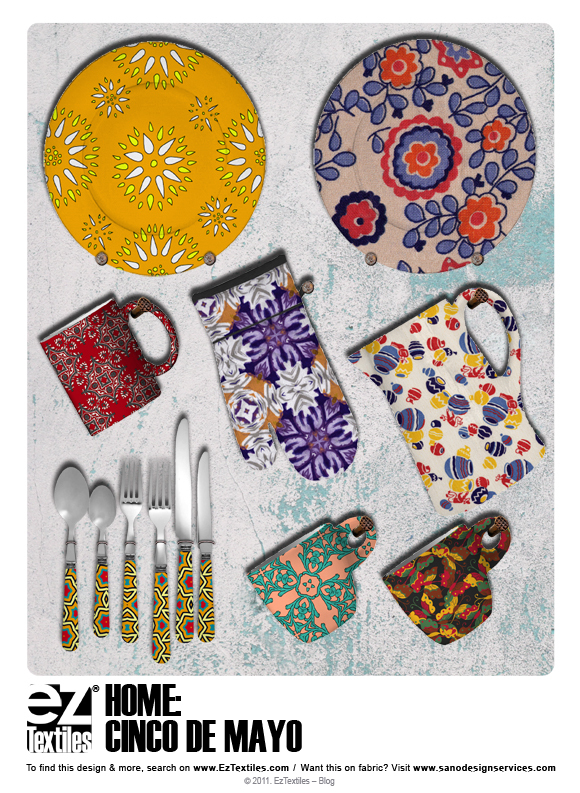 We visualized those patterns into some basic items found in the EzTextiles product section such as plates, cups, silverware and novelty items. If you love our Mexican inspired patterns but you aren’t a hardgoods designer, don’t fret- download the patterns by themselves!